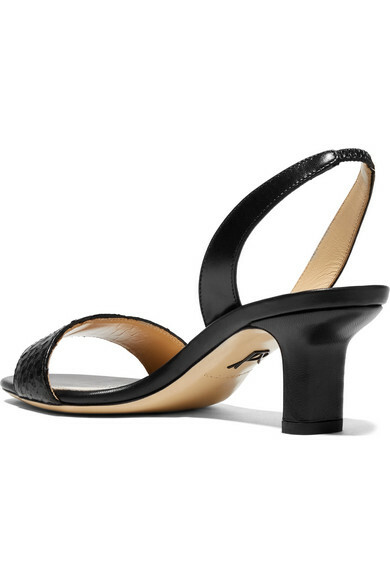 The obsession with kitten heels shows no signs of lessening, and Paul Andrew's 'Longo' sandals are the perfect pair to add to your collection. 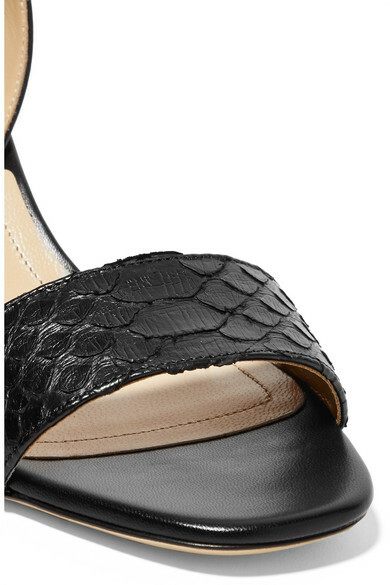 Made from smooth leather and python, they have a minimal design and comfortable elasticated slingback strap. Show yours off with cropped jeans or a silk dress. 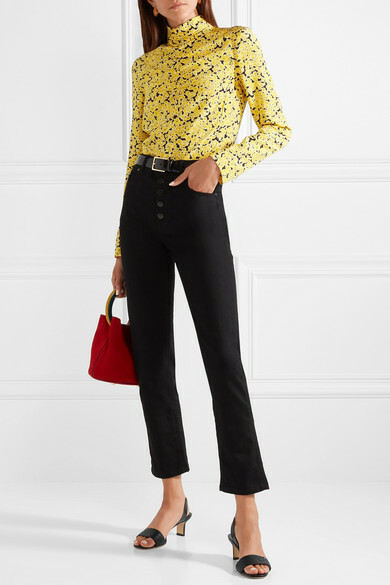 Shown here with: Joseph Jeans, Cédric Charlier Top, Marni Tote, Anderson's Belt.